FILE - Acting ICE director Ron Vitiello gestures during an interview in Richmond, Va.,Nov. 9, 2018. The acting director of Immigration and Customs Enforcement is leaving his post Friday, the latest departure in a reshuffling of the Department of Homeland Security, NBC News reported. 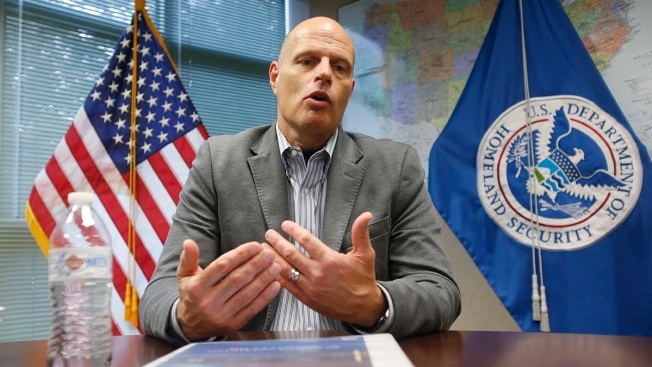 A DHS official said the agency received an email Wednesday with the news that Vitiello would be leaving ICE. DHS has not said who will replace Vitiello as acting director, but Deputy Director Matthew Albence is next in line.